Today while picking up the copper snowflakes I placed them on top of each other and they were beautiful together. Now instead of two six pronged snowflakes I have a beautiful 12 pronged snowflake. 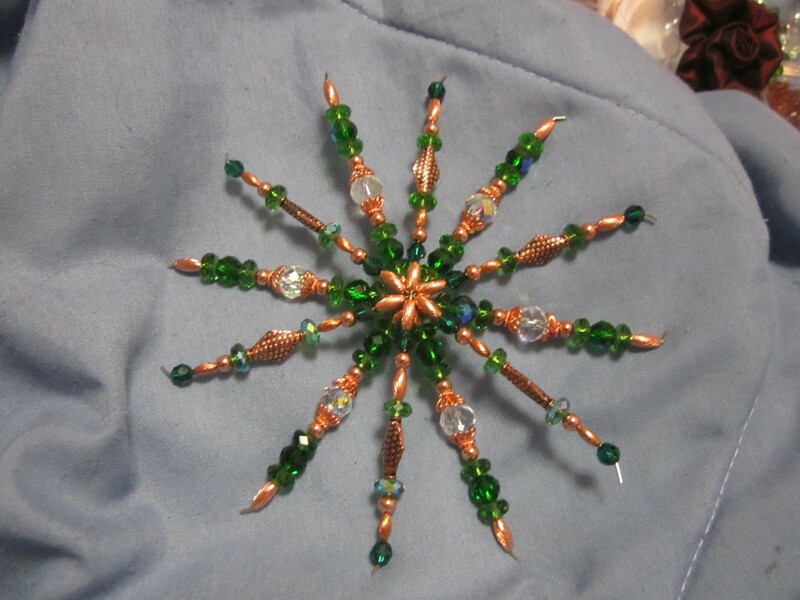 So I made two more today and wired them together. Then I made some burgundy satin roses from fabric and decorated a glass ball ornament. 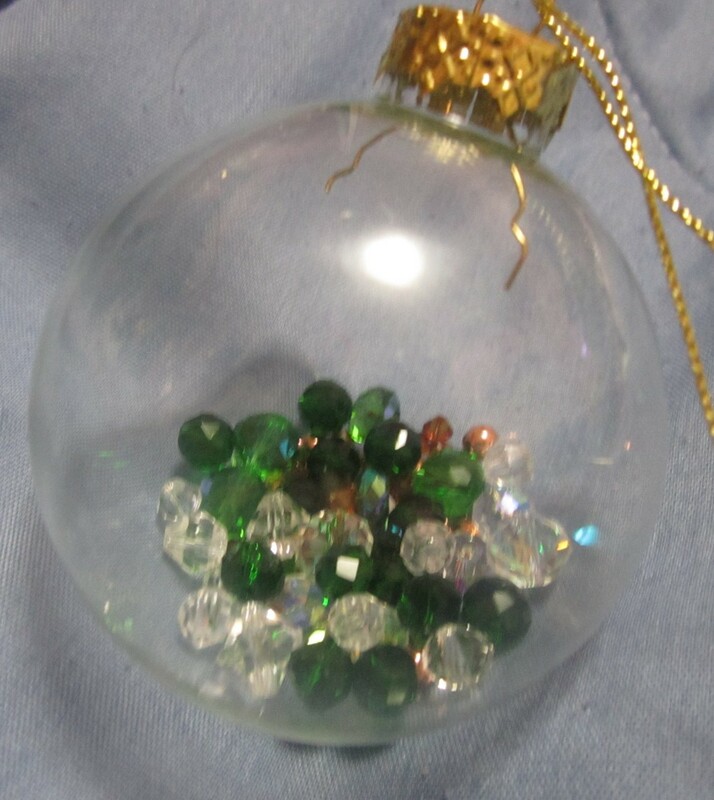 The decorative glass ball is so easy to make. 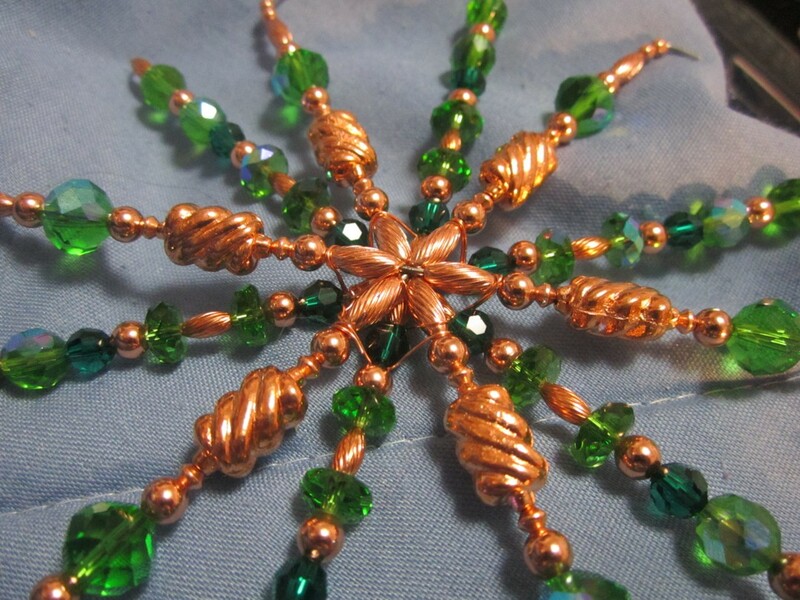 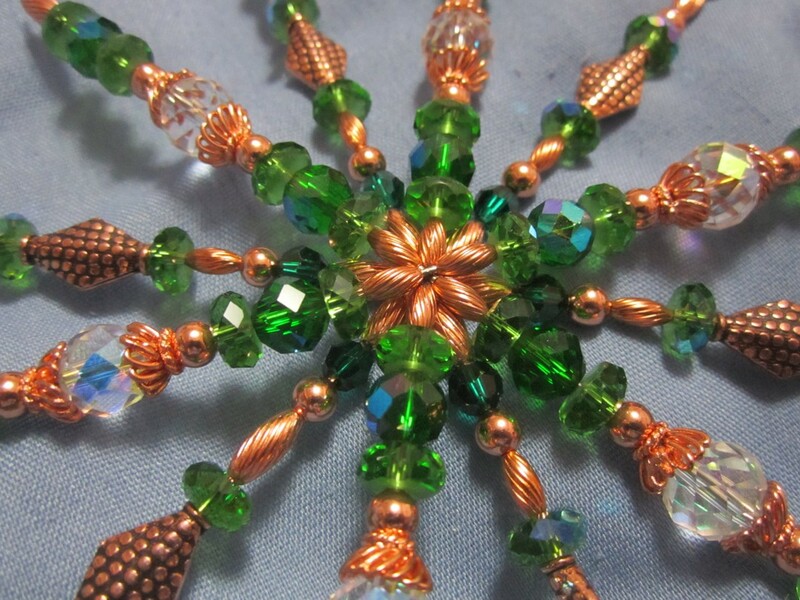 All I did was take the top off and put about 30 crystals in two shades of green and clear and added some copper metal beads. They look great and is a good way to use odds and ends of beads.